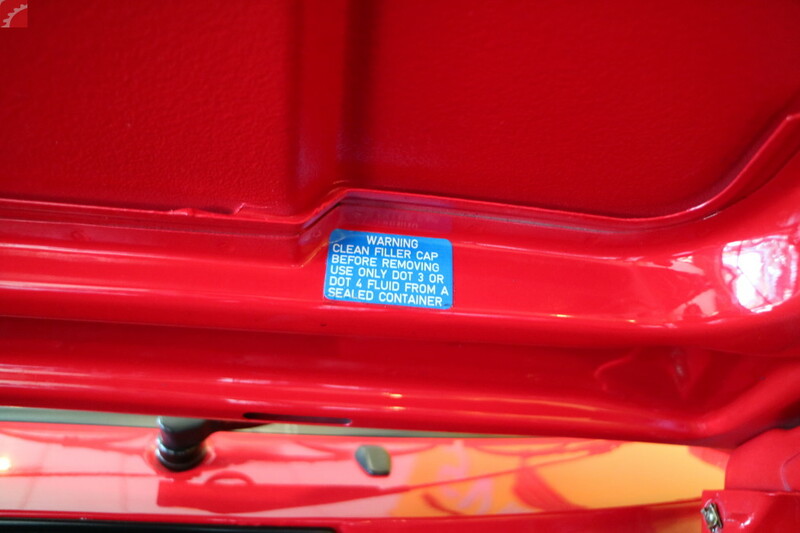 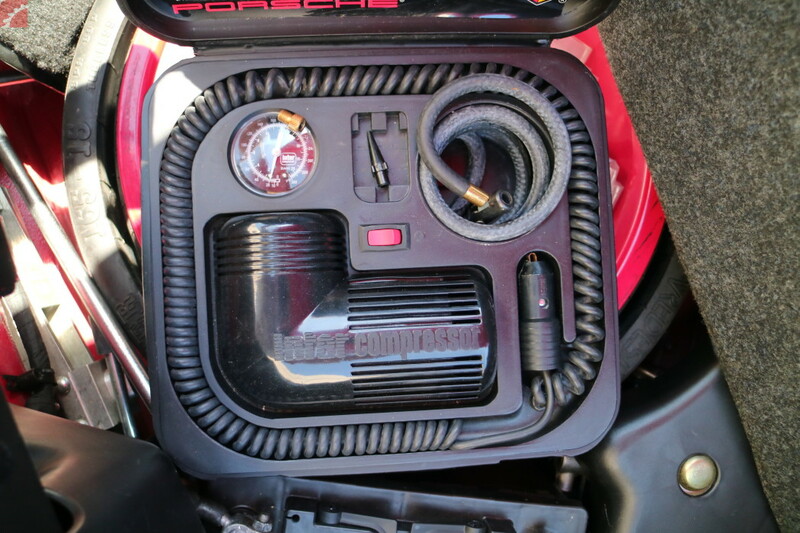 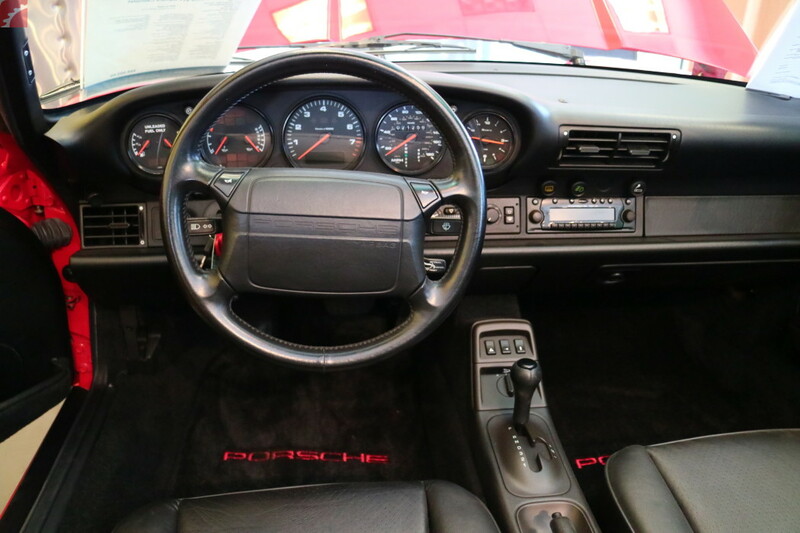 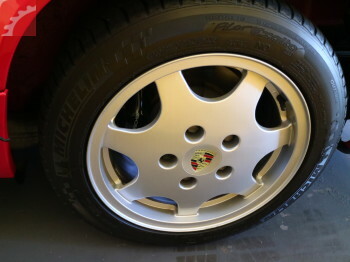 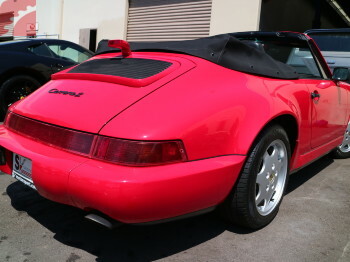 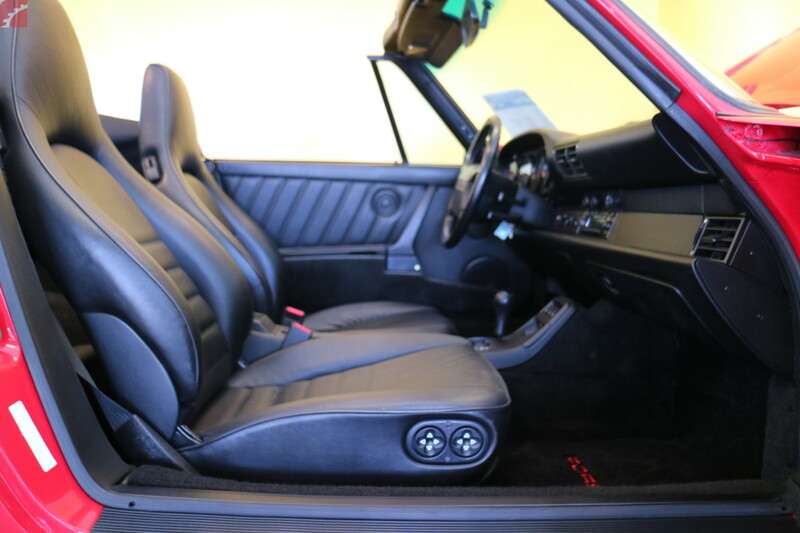 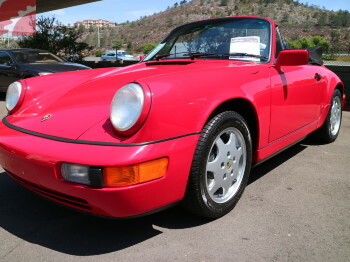 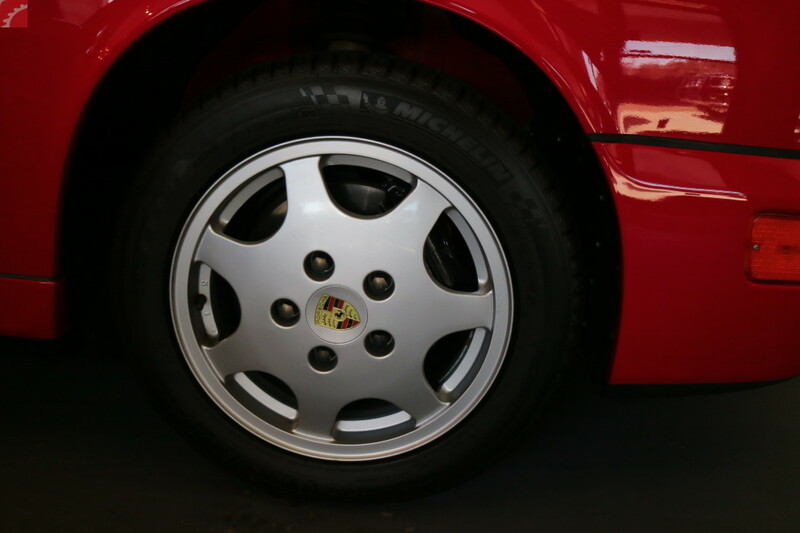 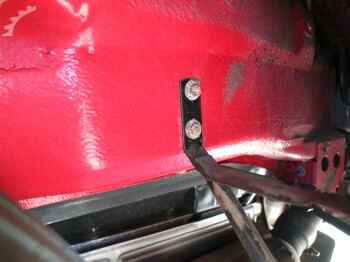 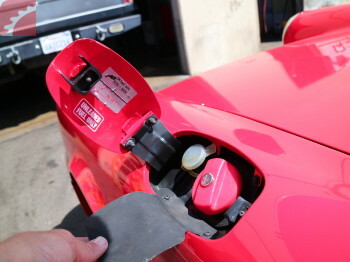 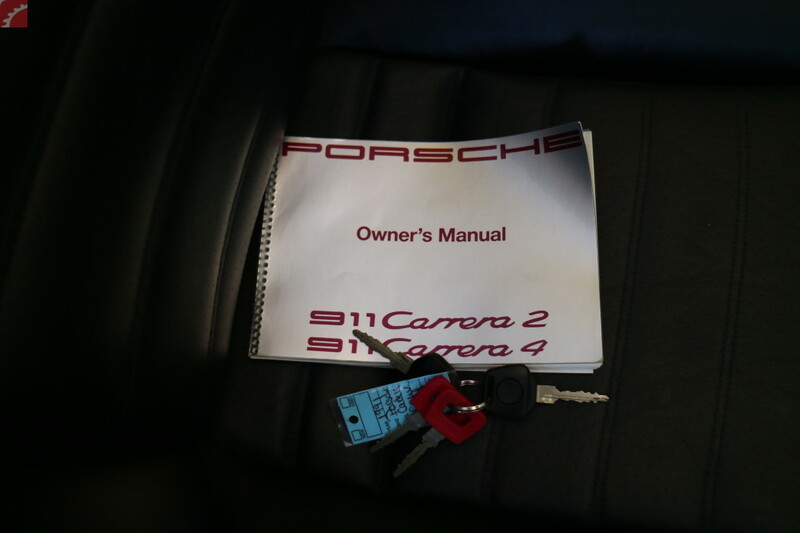 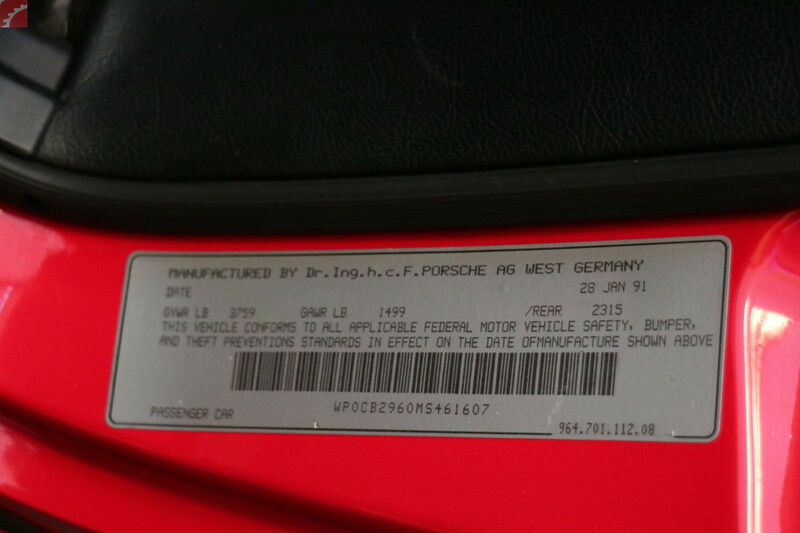 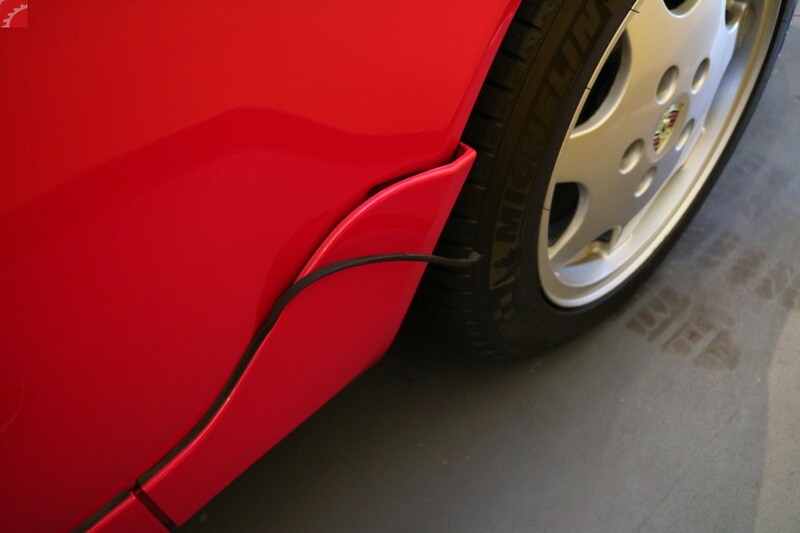 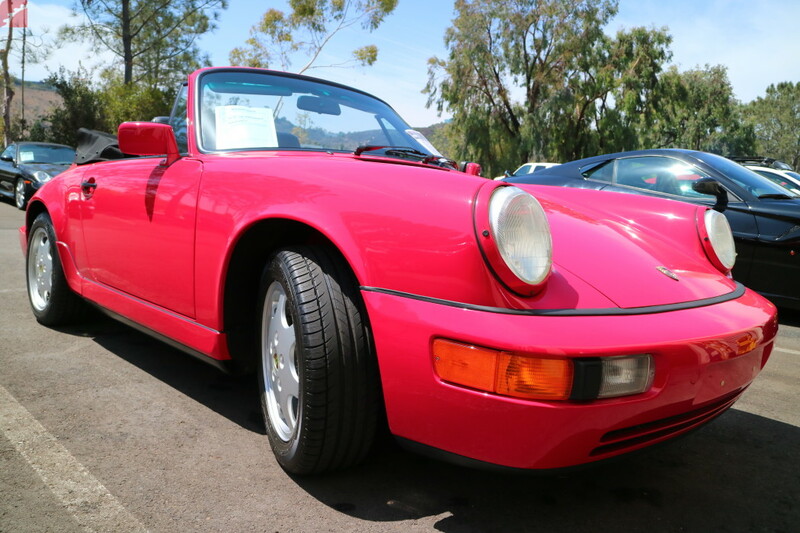 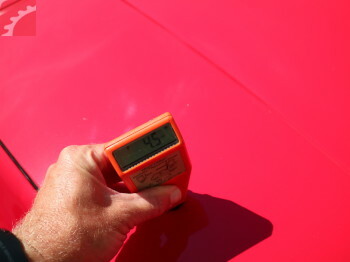 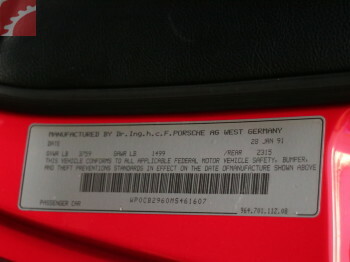 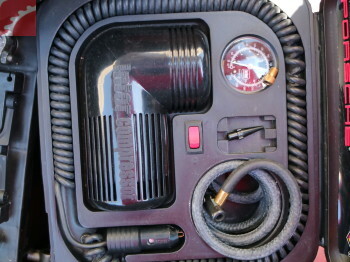 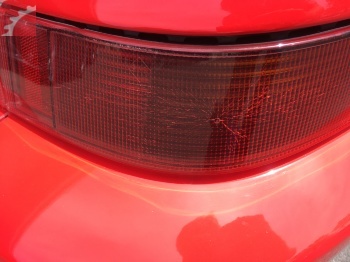 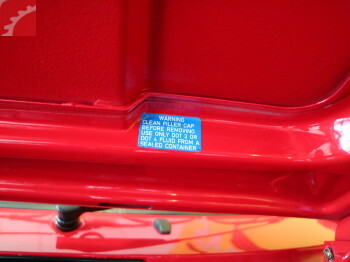 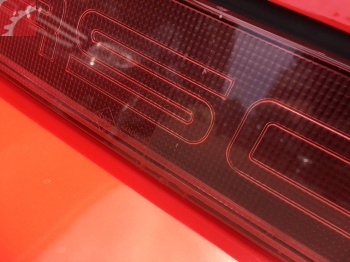 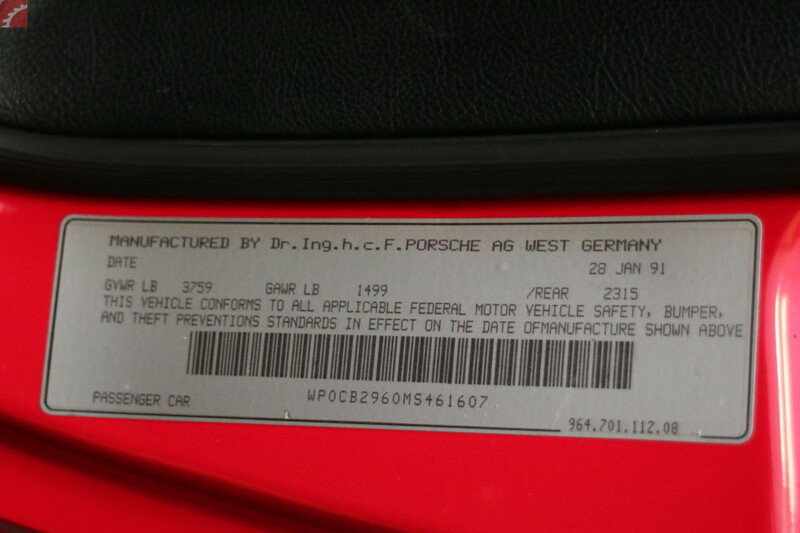 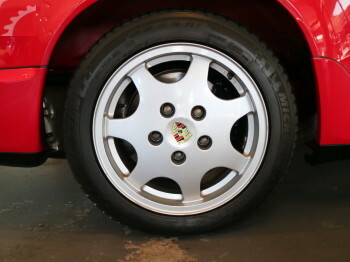 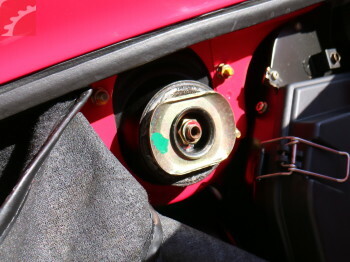 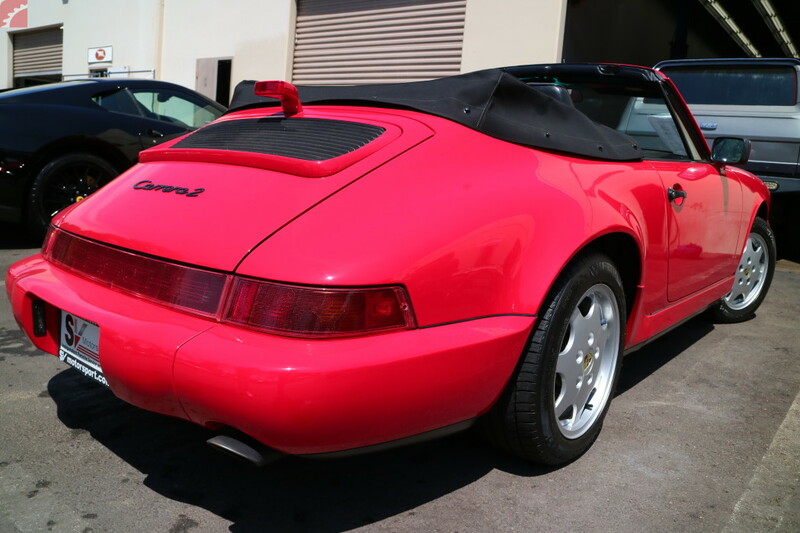 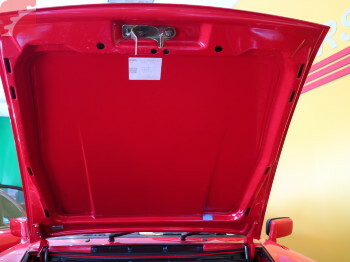 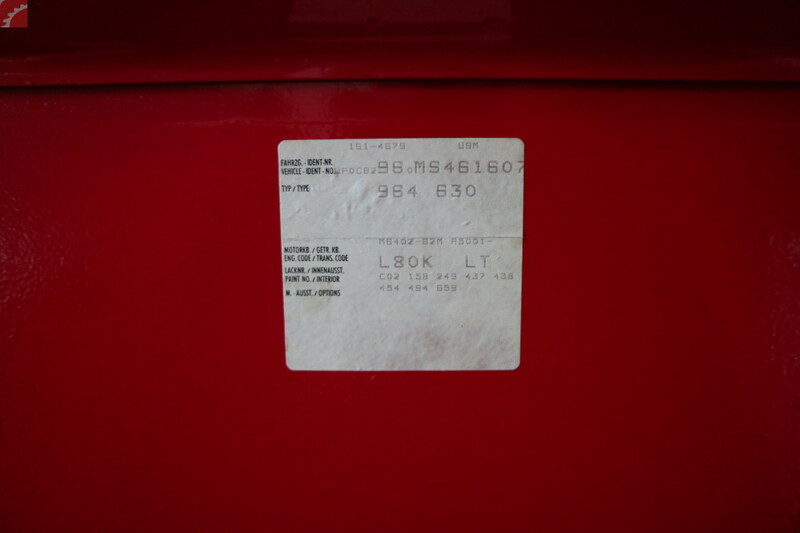 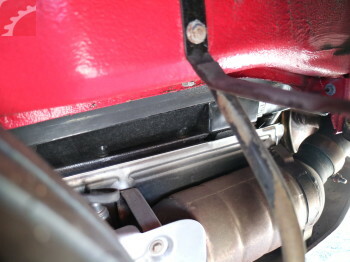 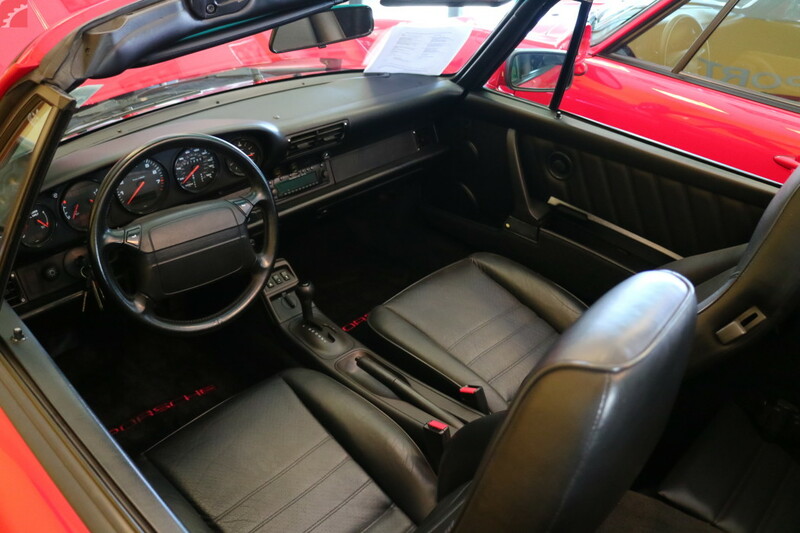 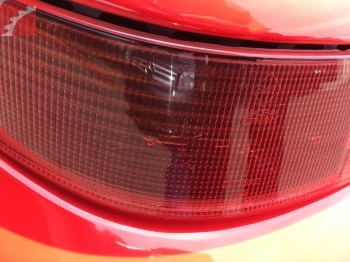 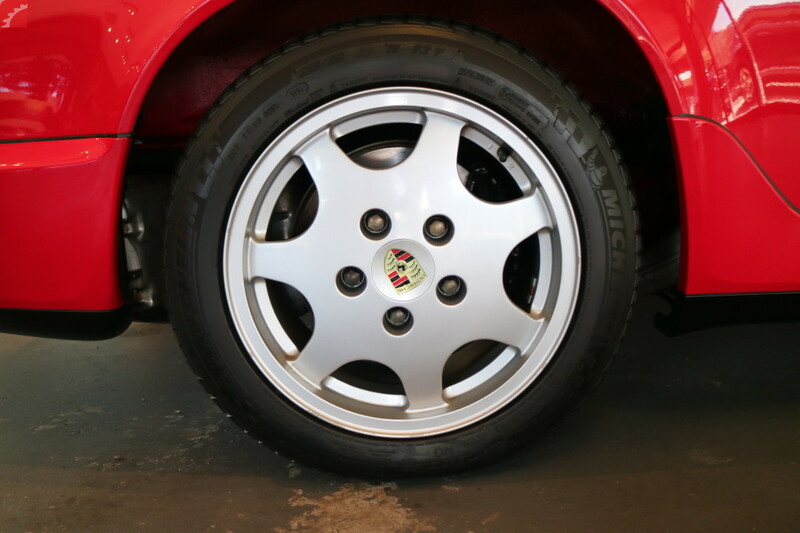 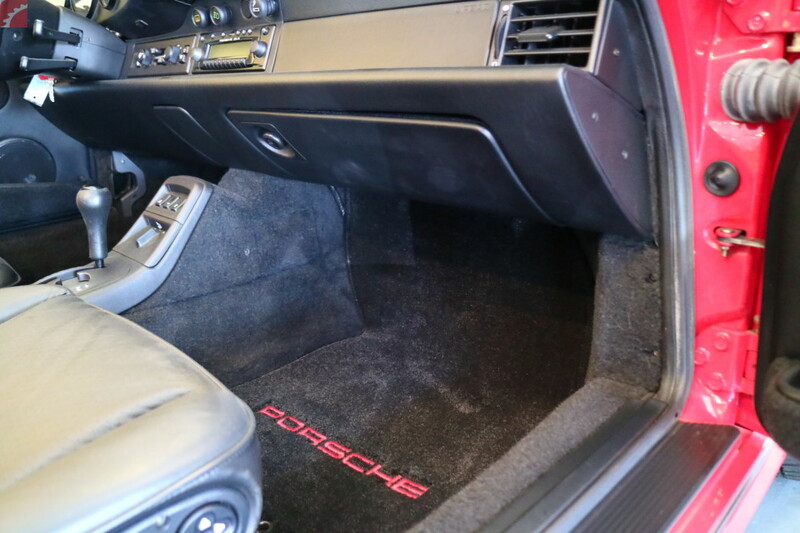 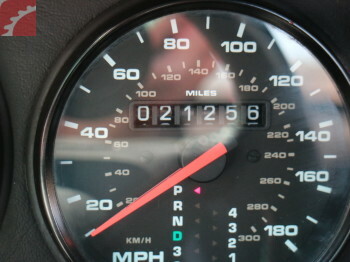 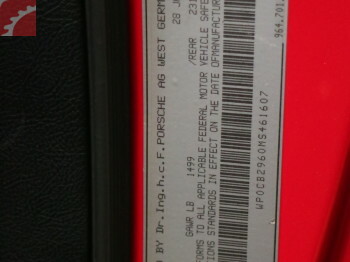 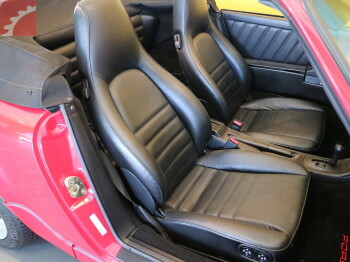 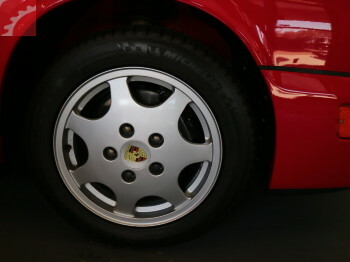 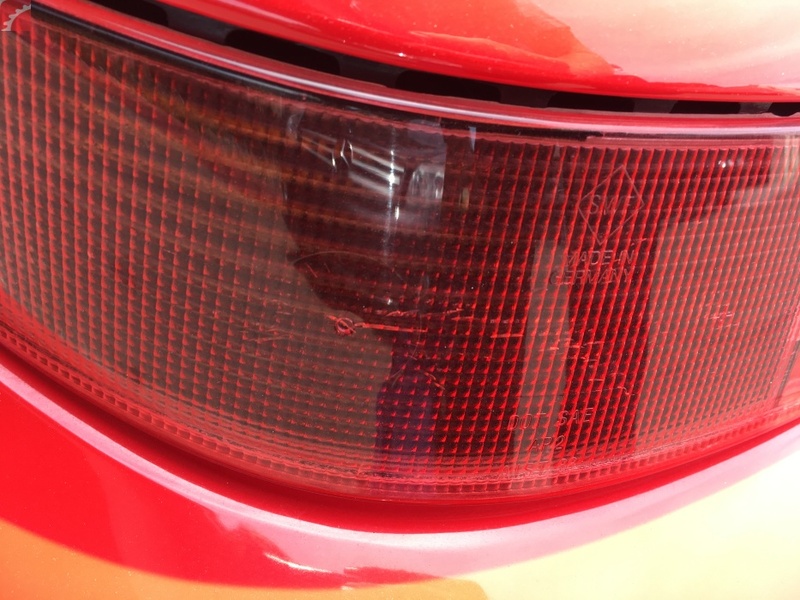 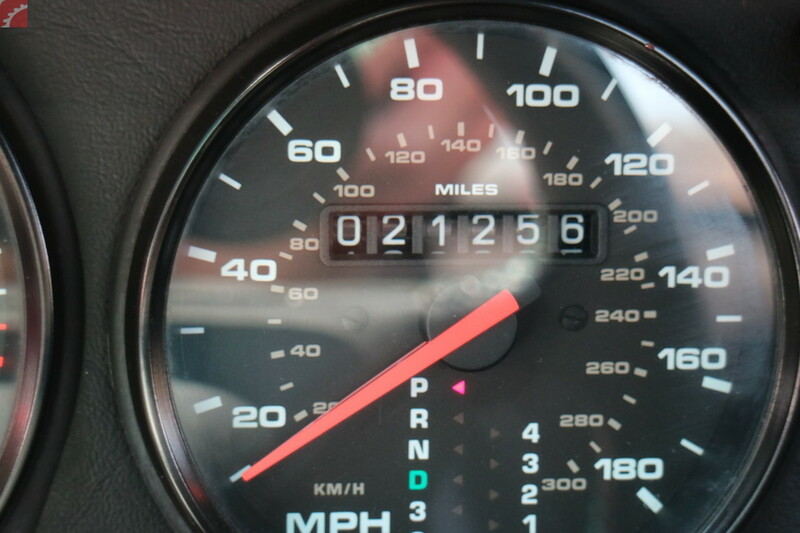 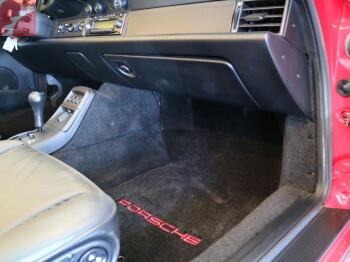 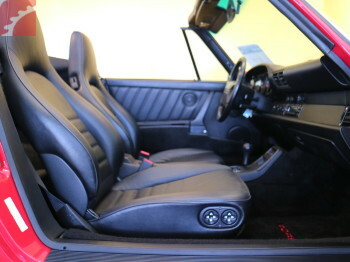 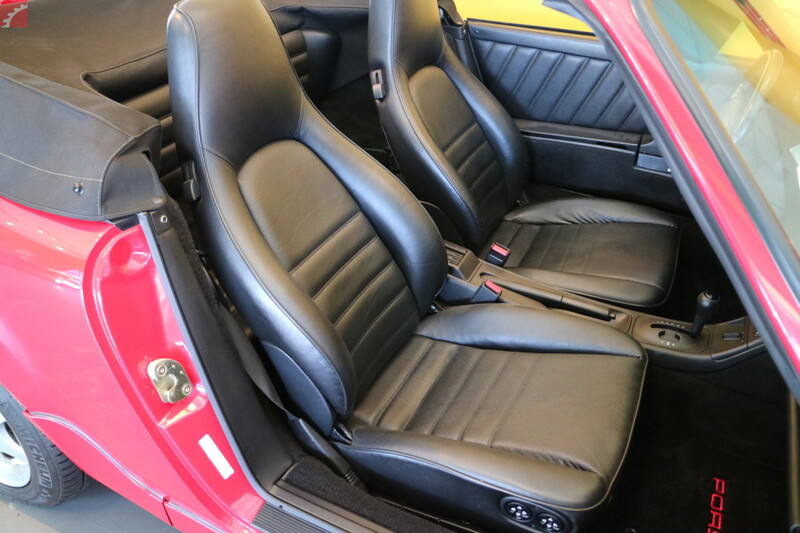 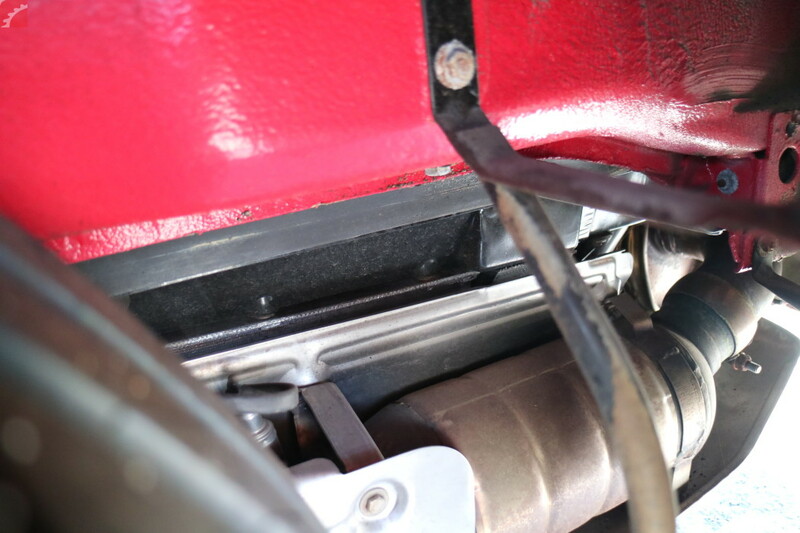 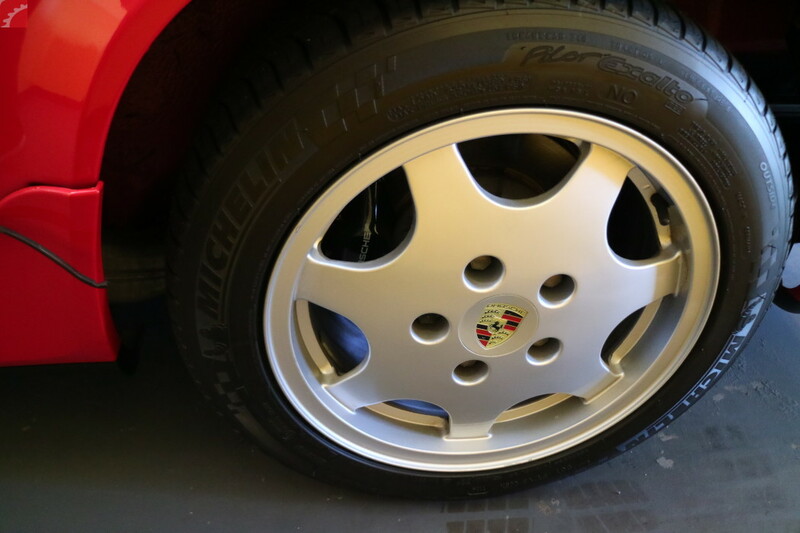 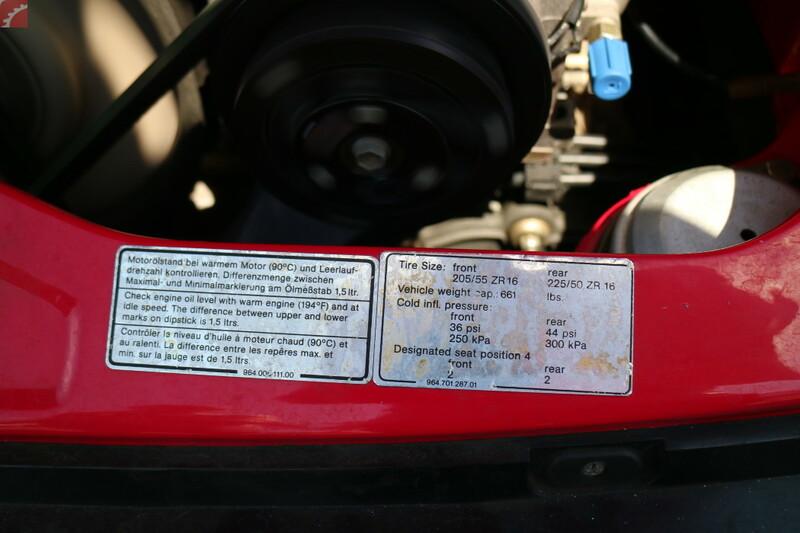 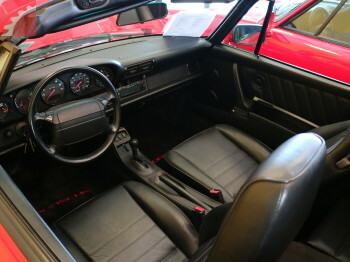 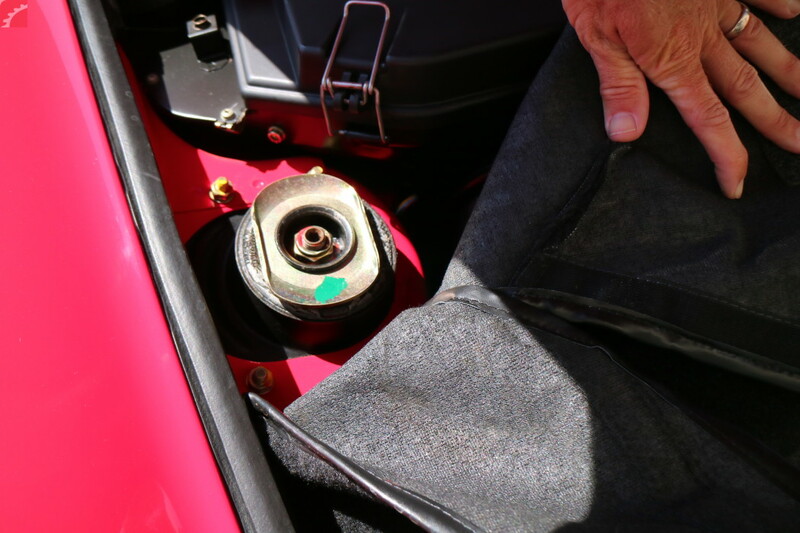 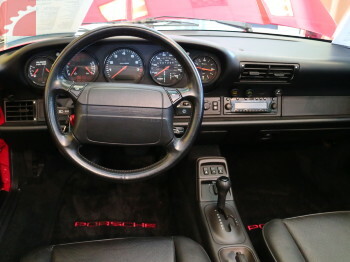 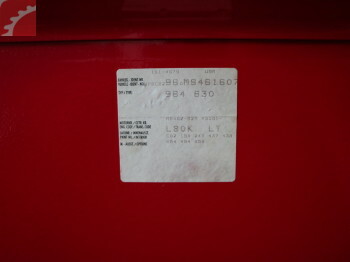 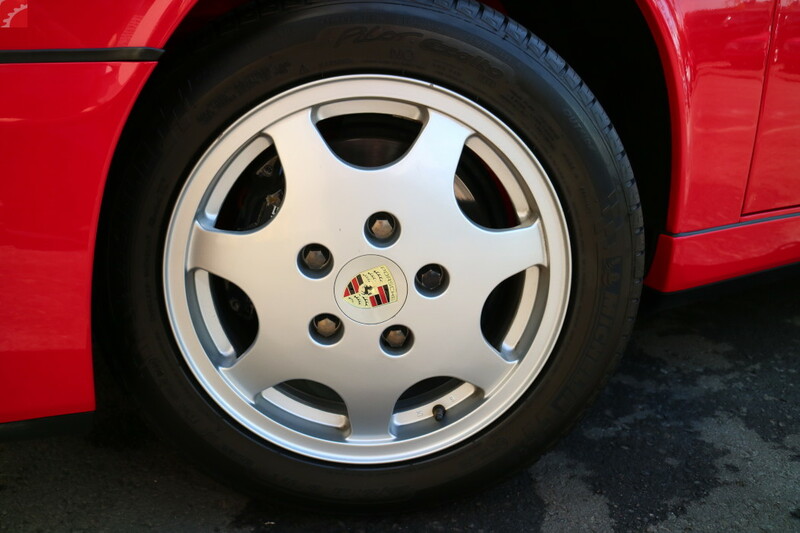 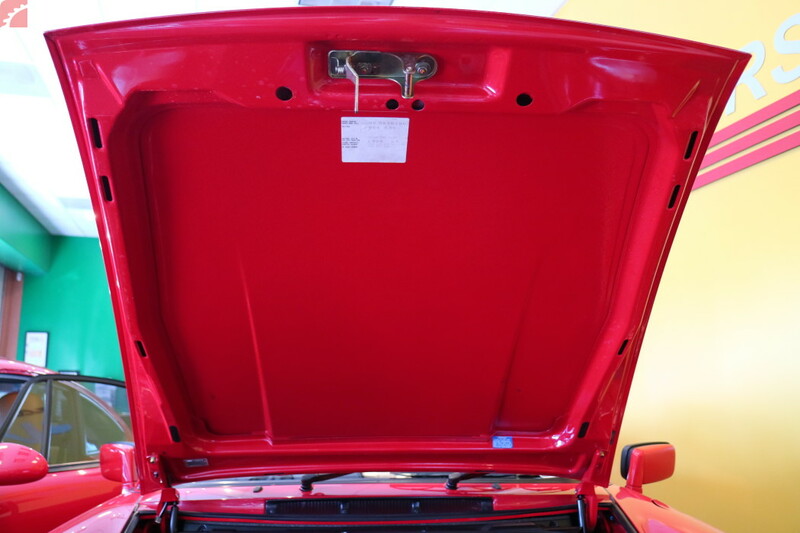 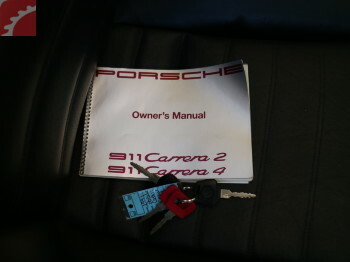 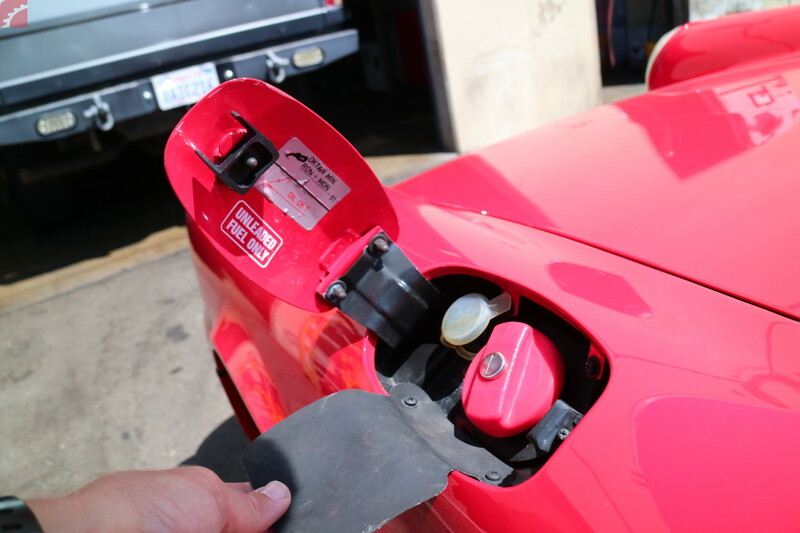 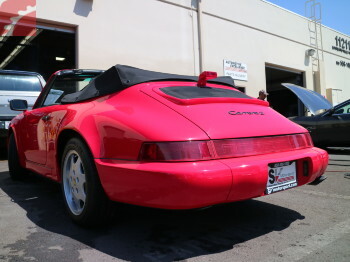 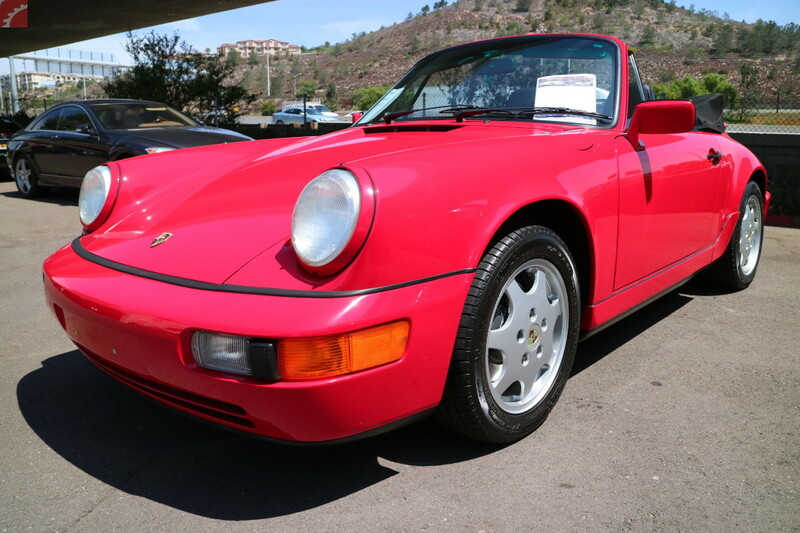 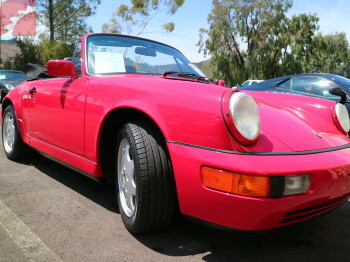 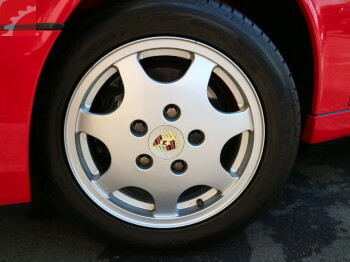 1991 Porsche 911 Classic car inspection found light wear on interior and exterior of vehicle. 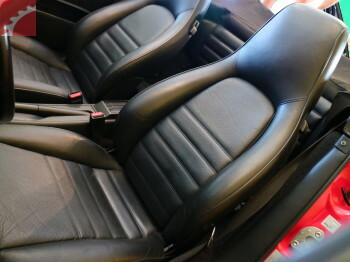 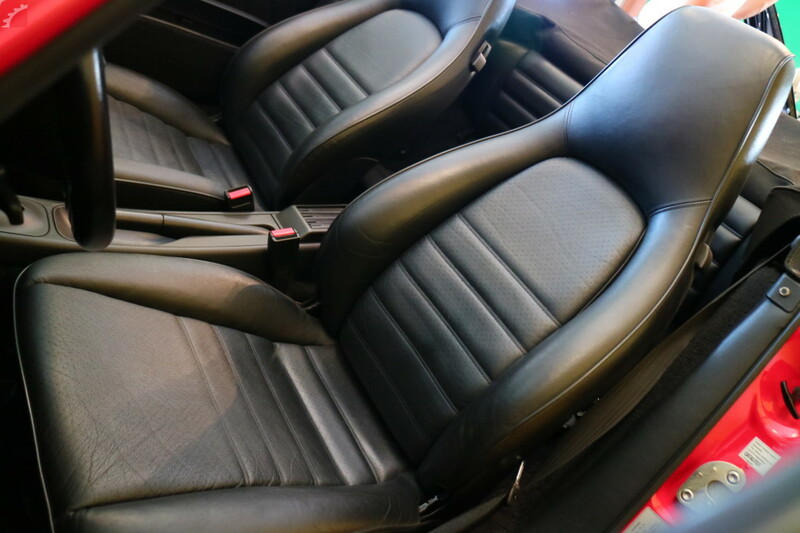 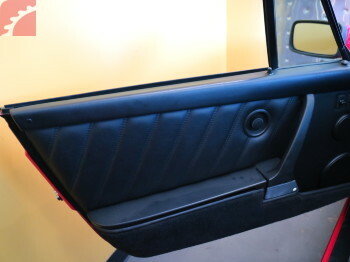 Interior is free of damage, functions are all working as designed. 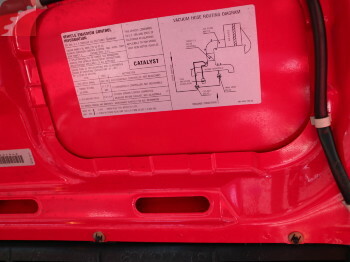 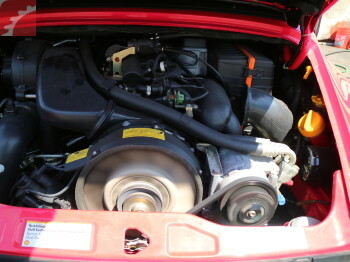 A/C not blowing cold, but A/C compressor is turning on, possibly in need of recharge and recheck. 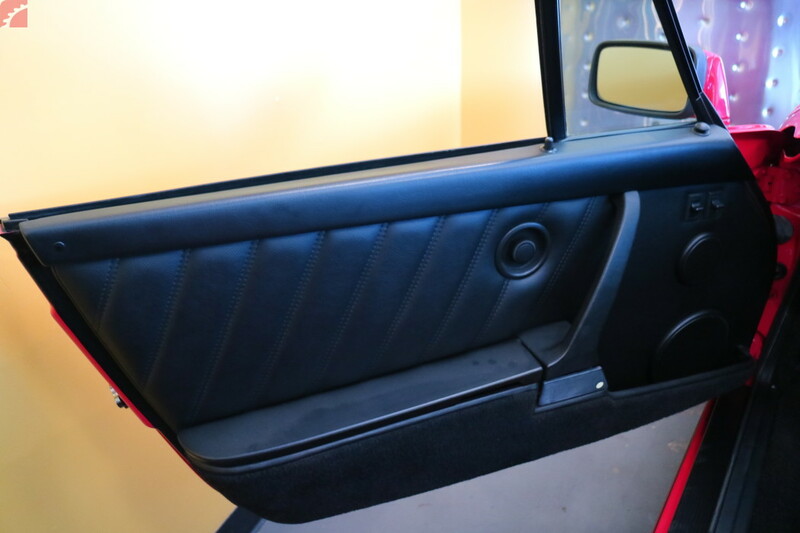 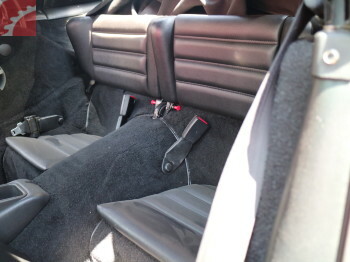 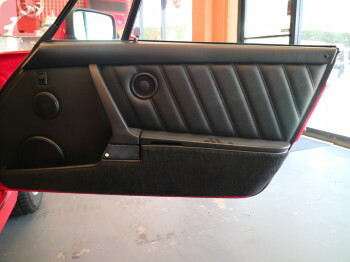 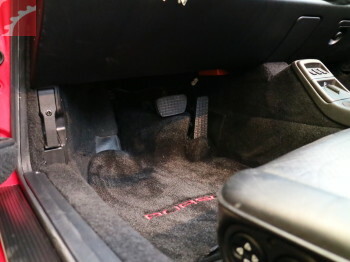 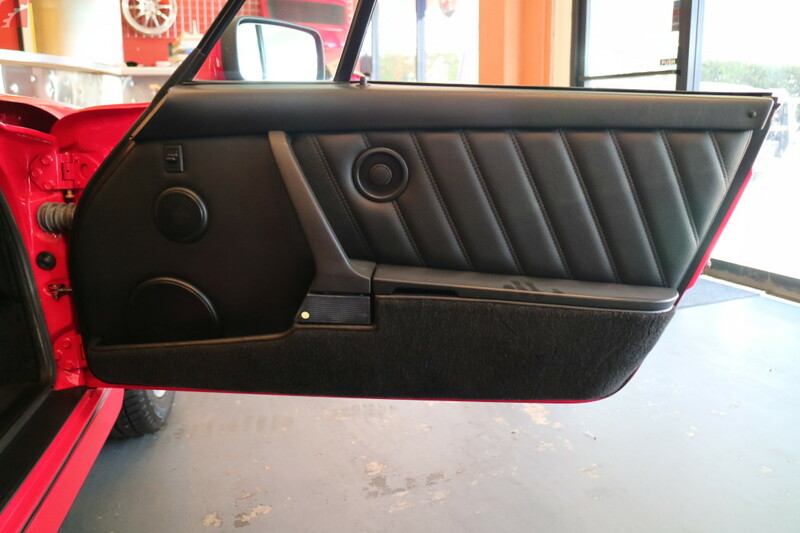 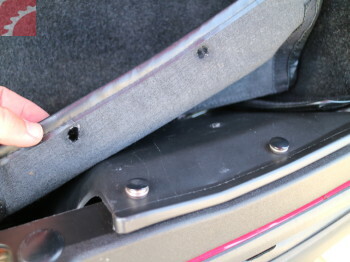 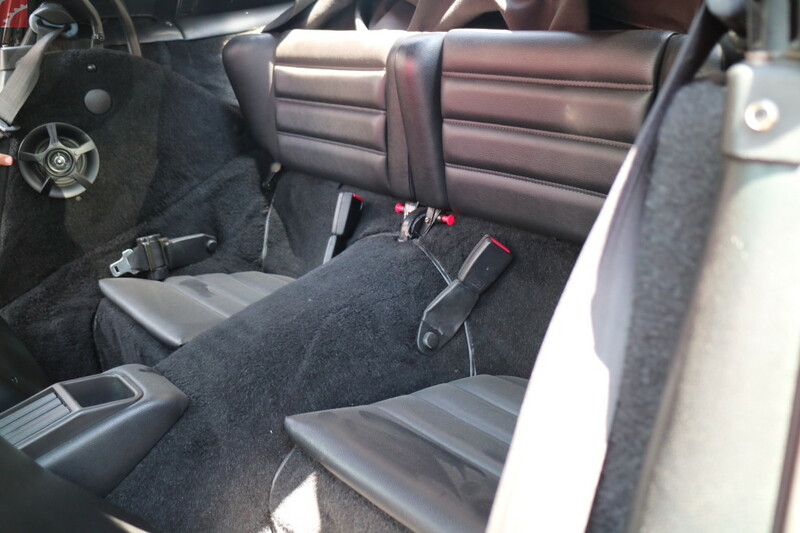 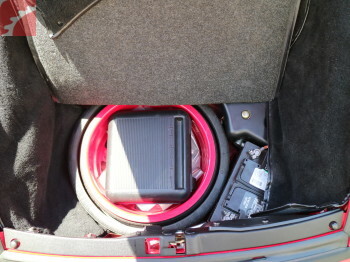 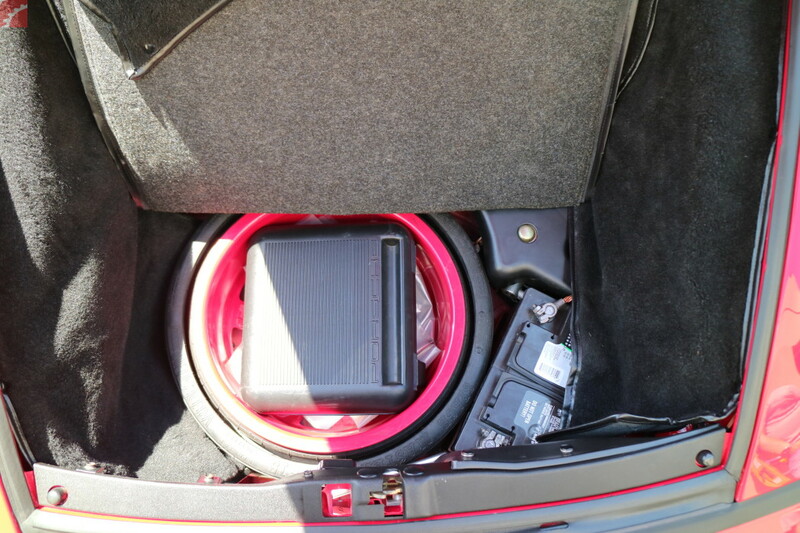 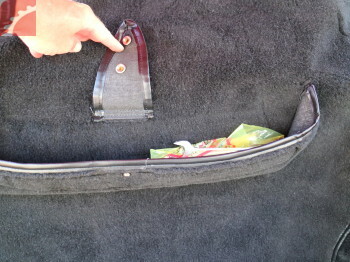 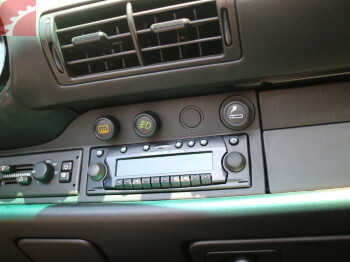 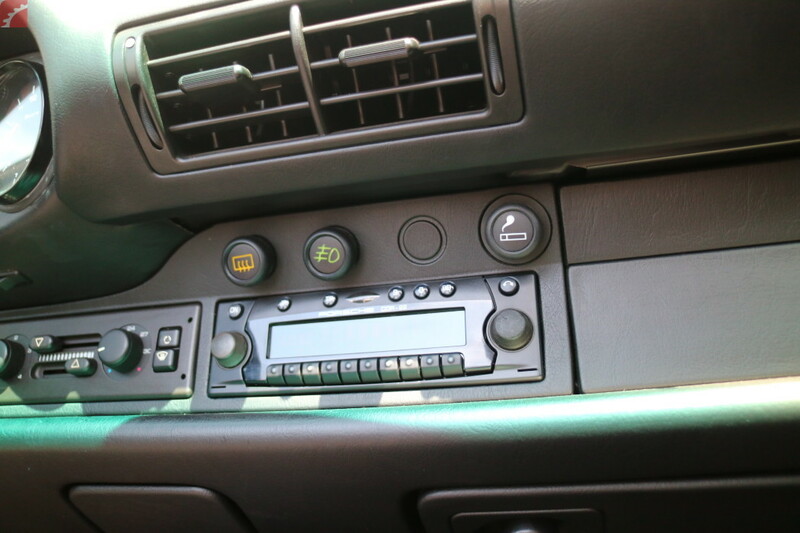 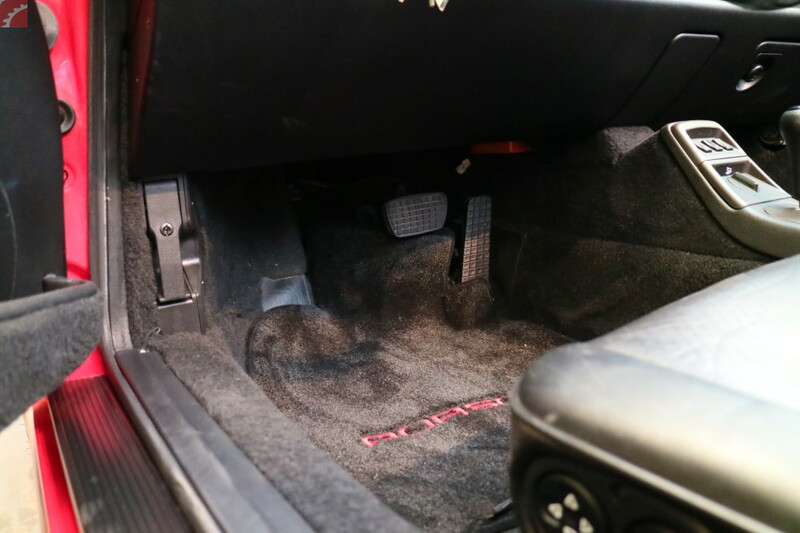 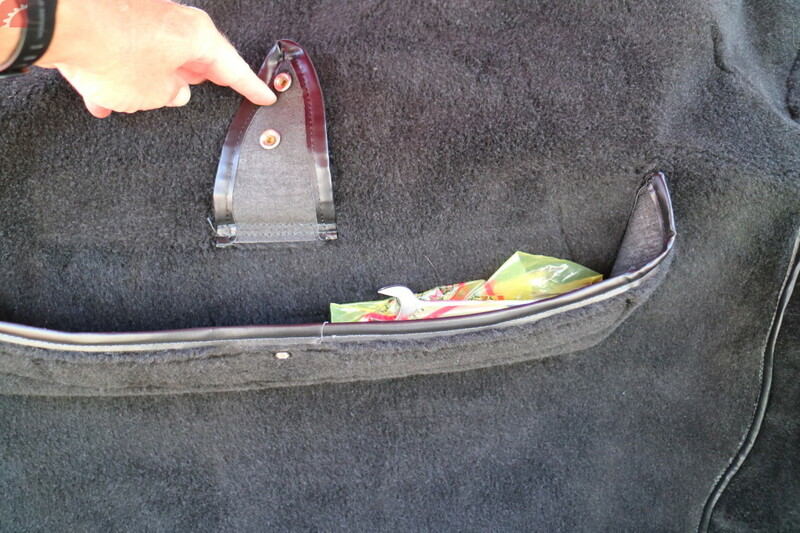 Left and right aftermarket speakers added to trim panels behind front seats, one speaker is missing cover. 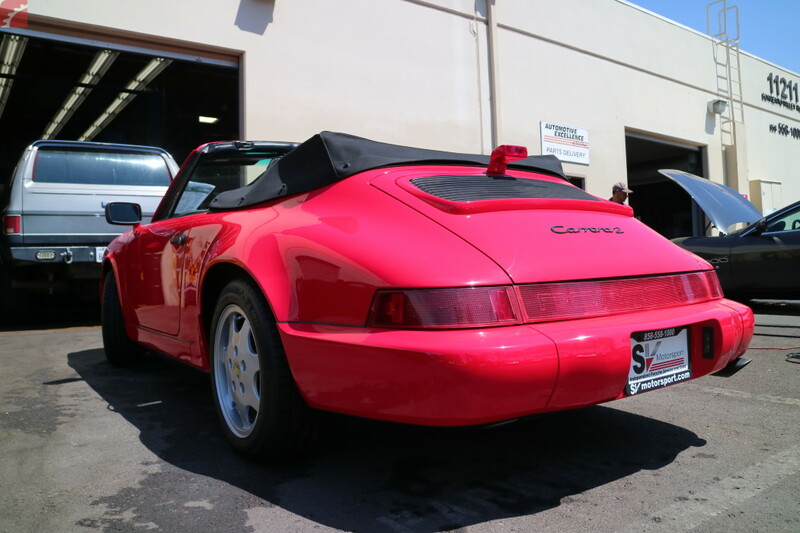 Exterior paint checked all original. 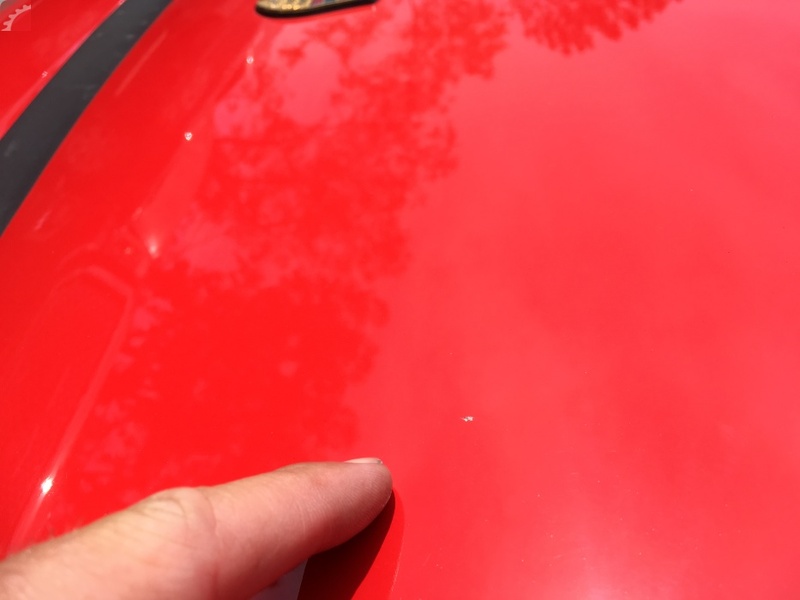 Small rock chips on hood and front bumper. 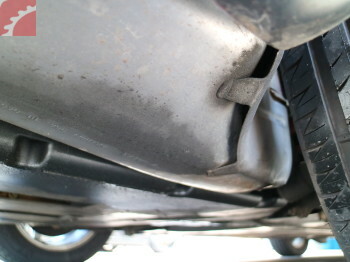 Rubber seals are in good condition. 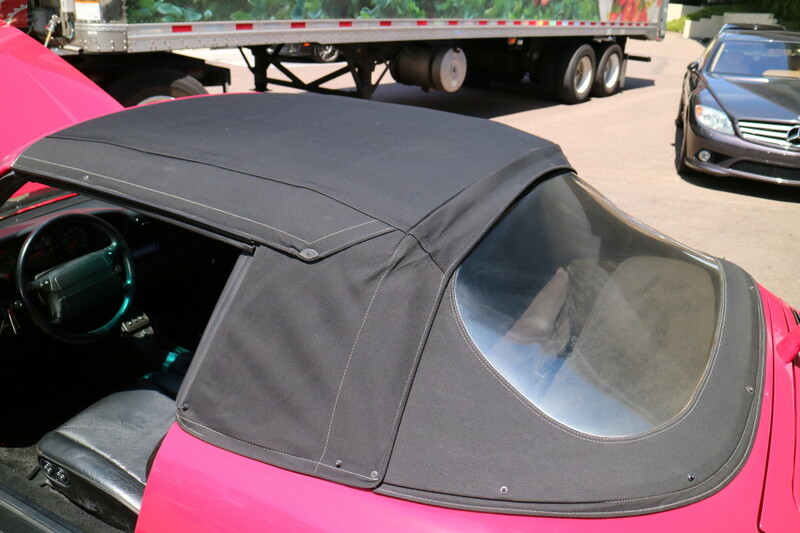 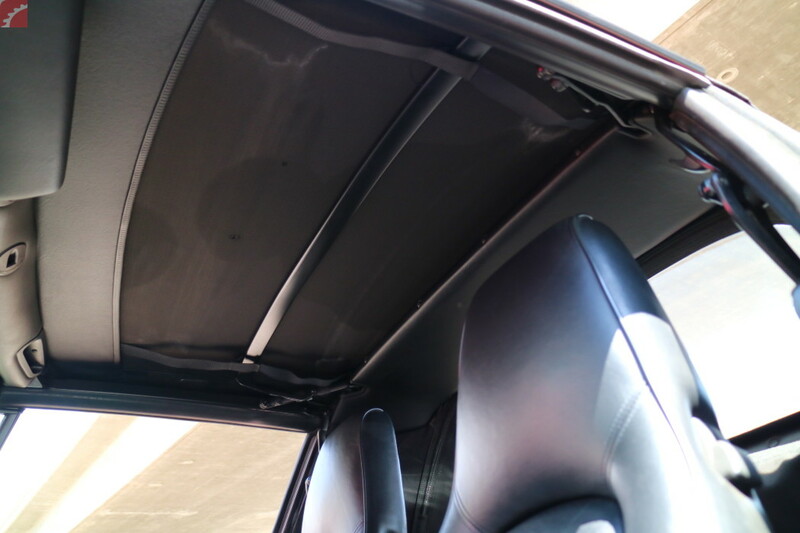 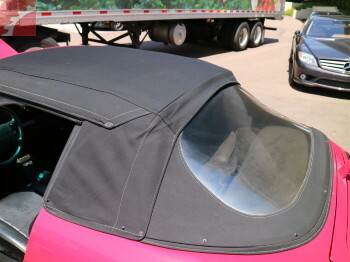 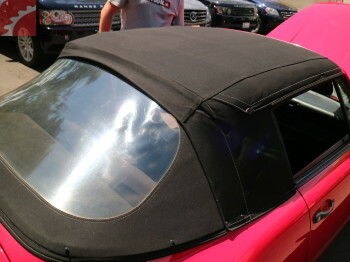 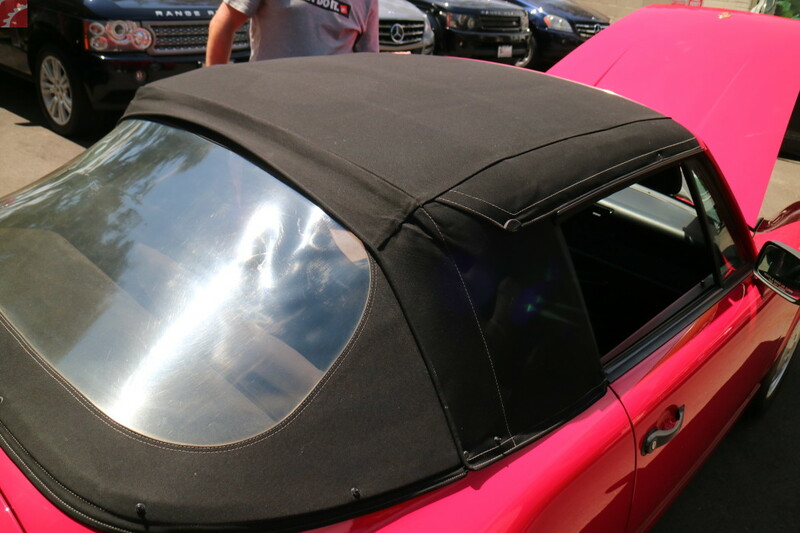 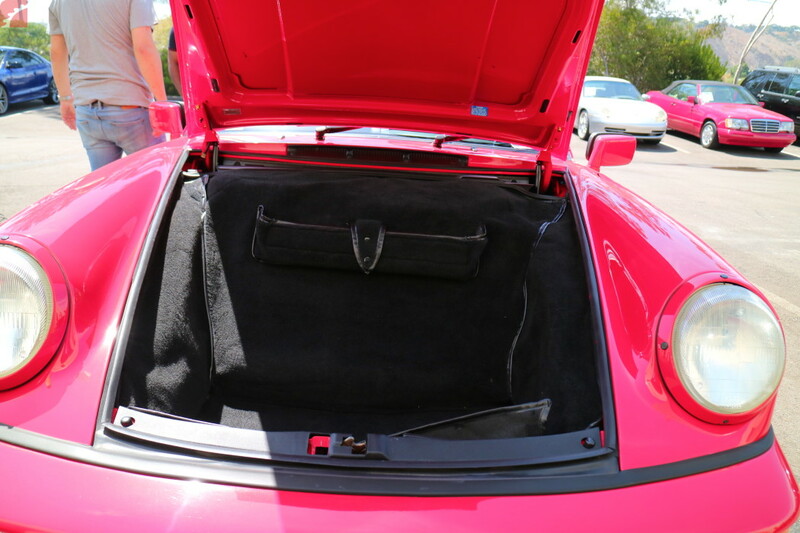 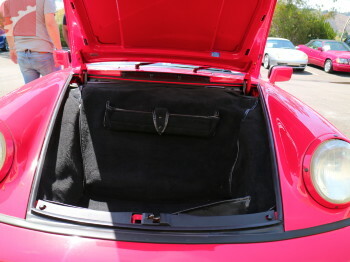 Convertible top is free of major defects, rear plastic window has some slight yellowing. 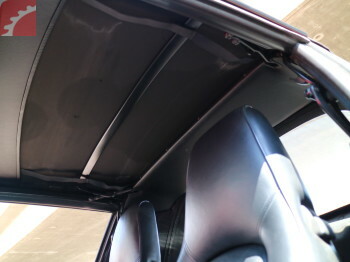 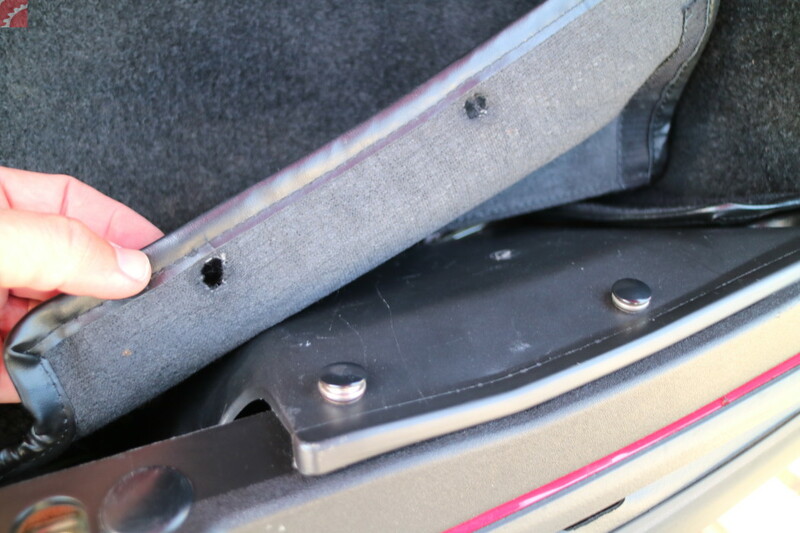 Inside of top has 2 1/4" holes in headliner, but do not effect operation. 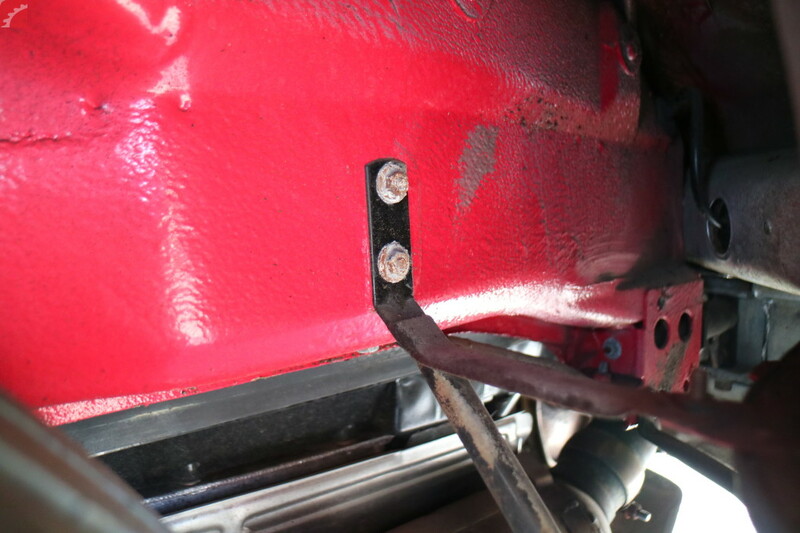 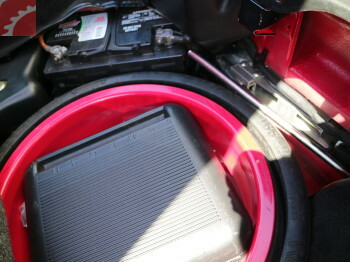 Engine bay is free of major leaks, some minor seeping on left and right valve covers. 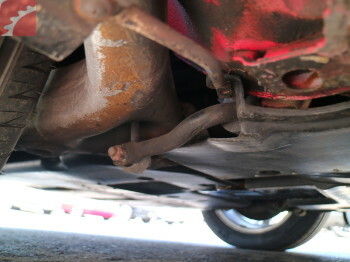 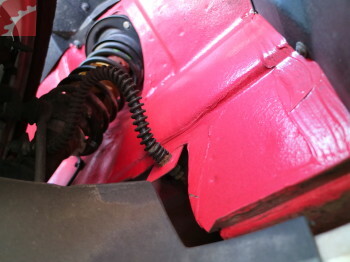 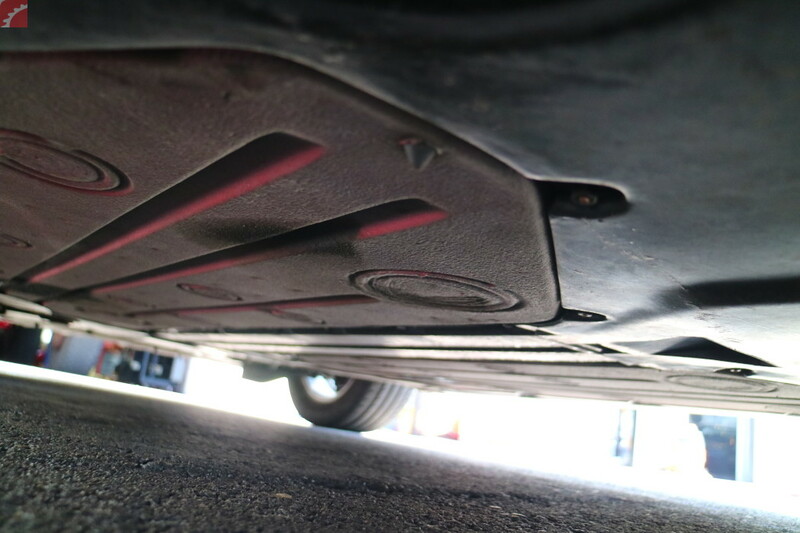 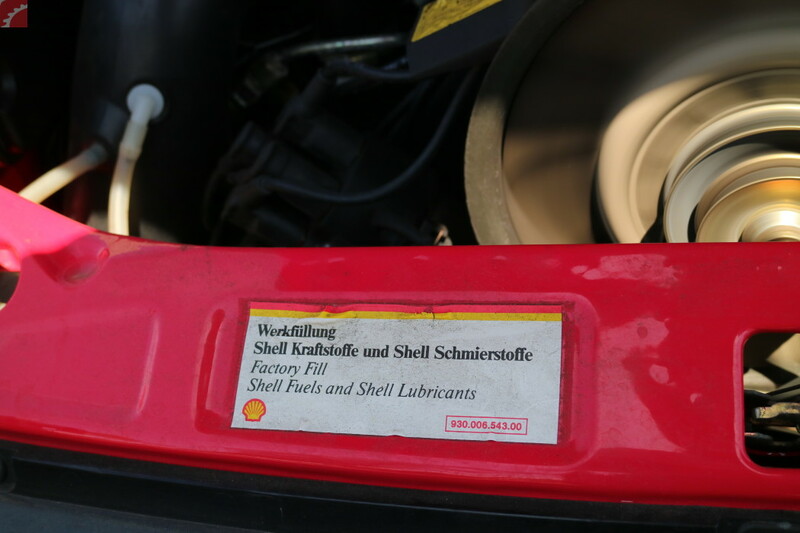 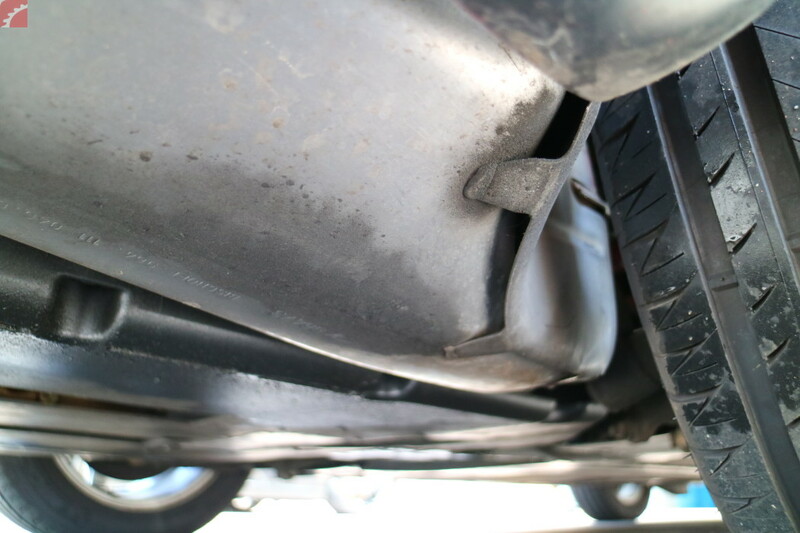 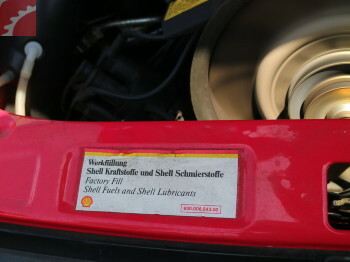 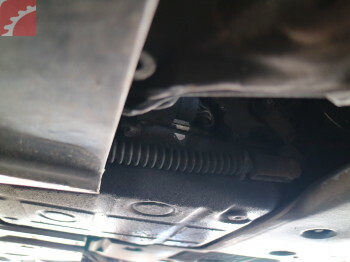 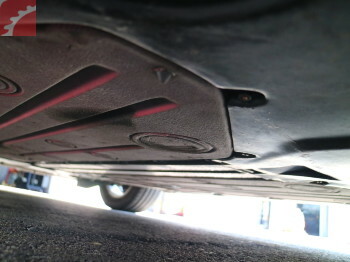 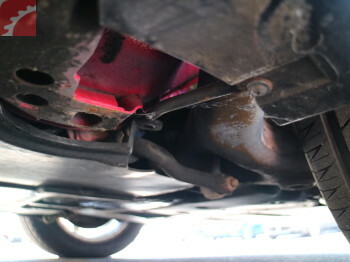 Oil seep near bottom of transmission and engine area. 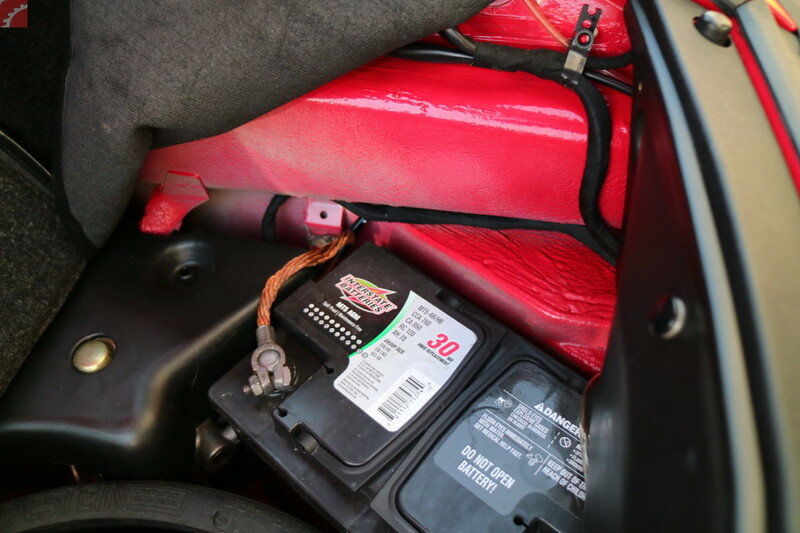 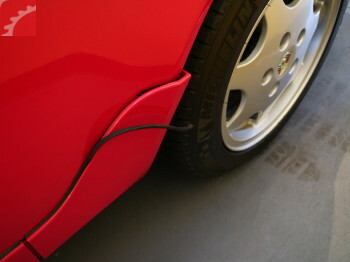 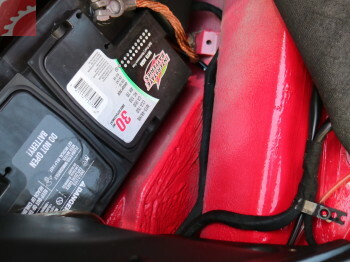 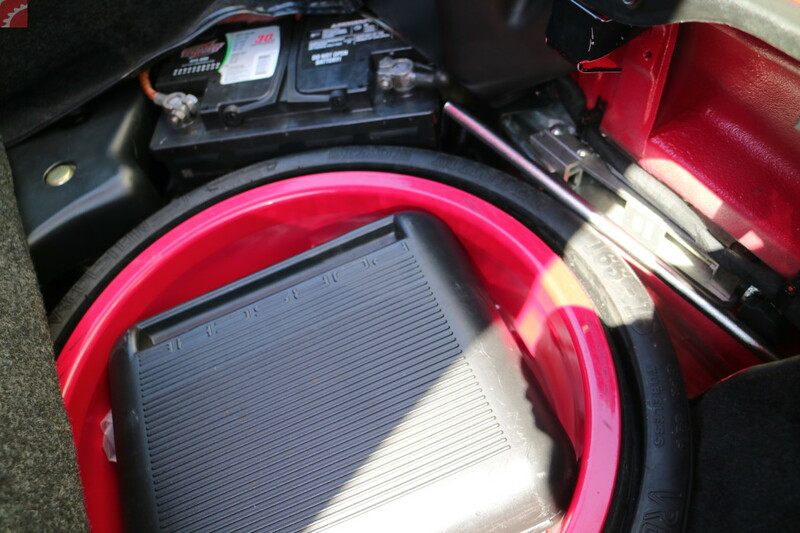 Charging system is working correctly, but battery has failed, vehicle had to be jump started, and battery is not charging. 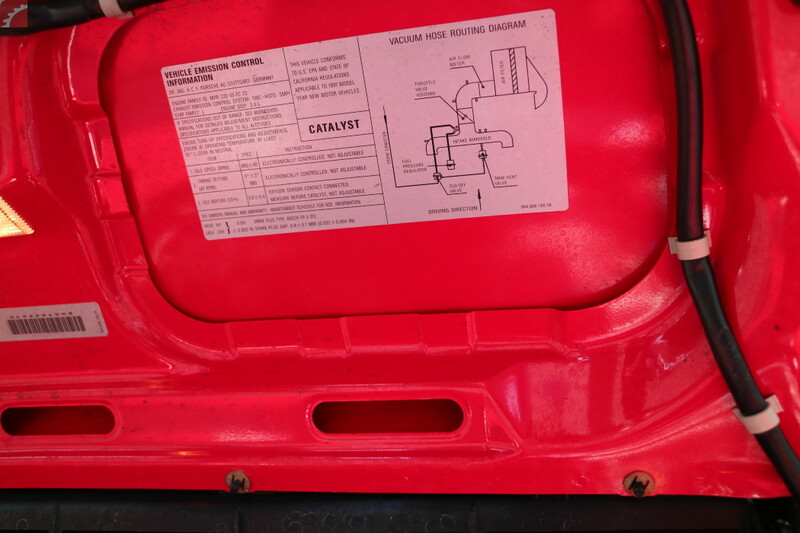 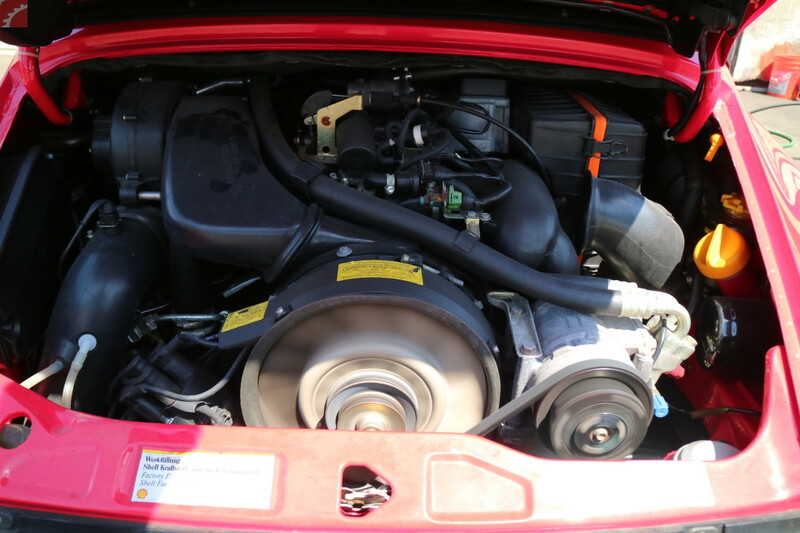 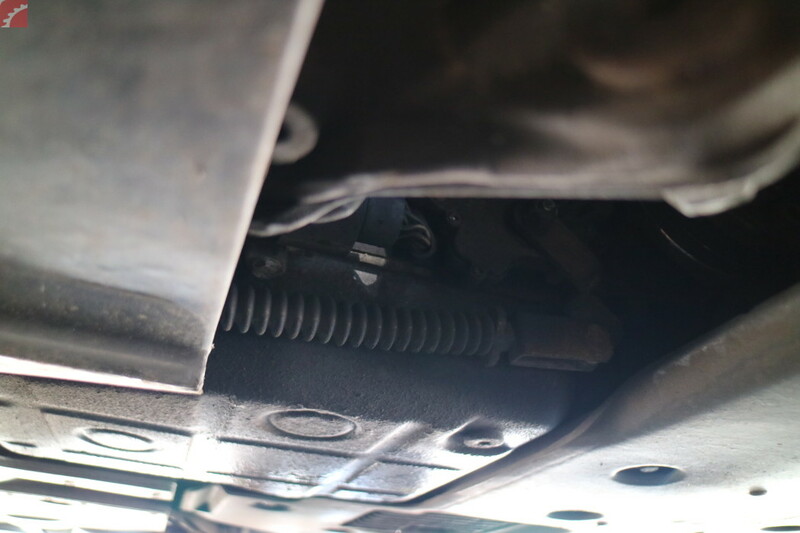 Road test found engine and transmission operation is normal, vehicle steering tracks straight, no abnormal noises or odors. 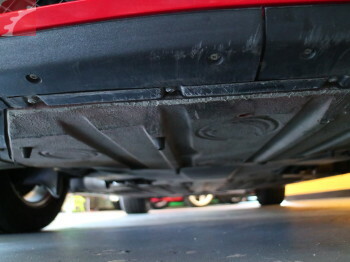 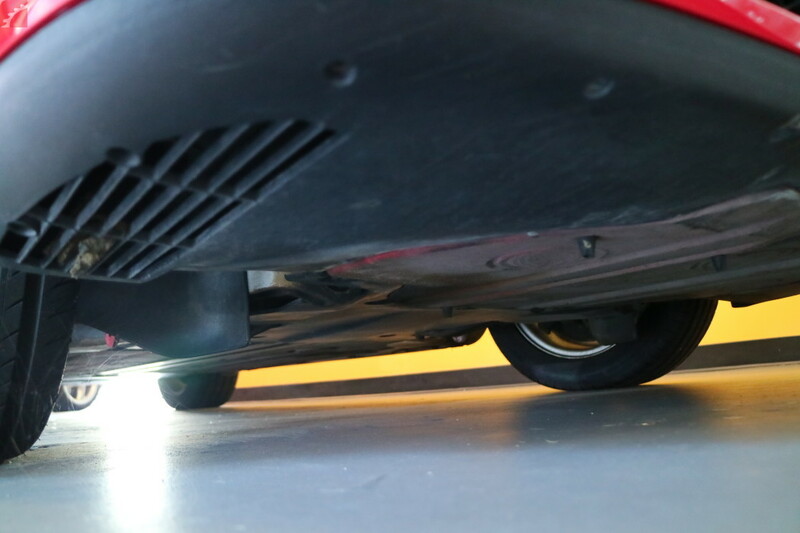 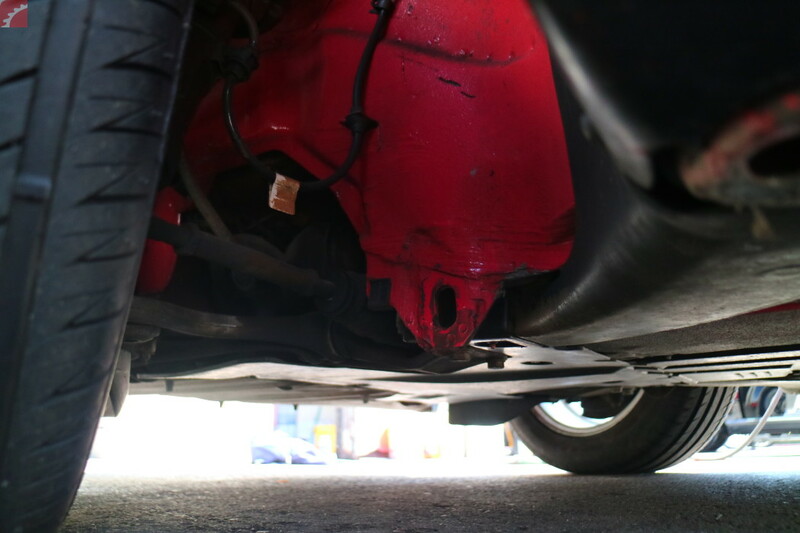 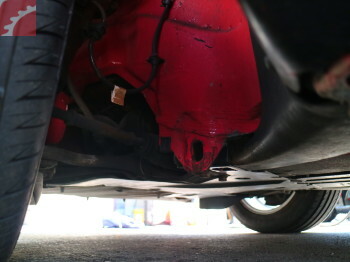 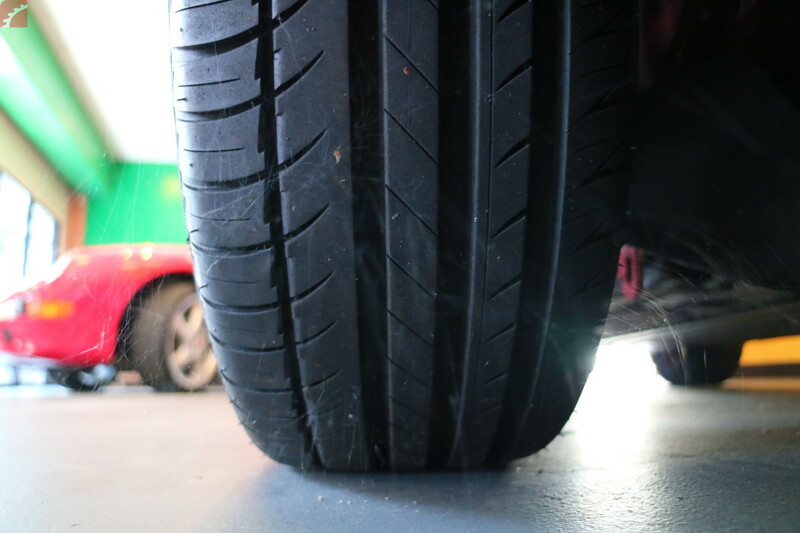 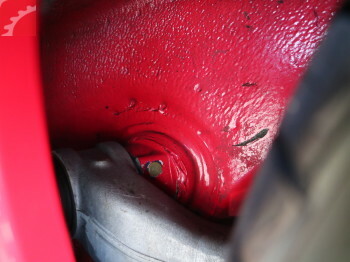 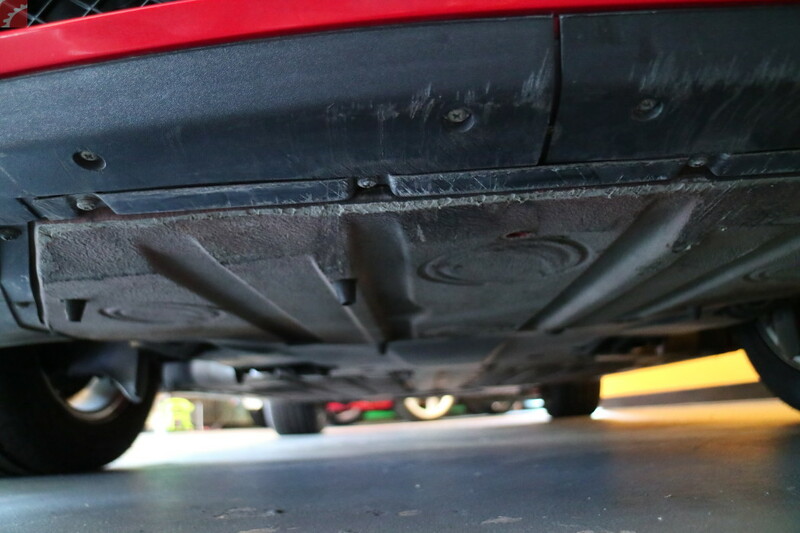 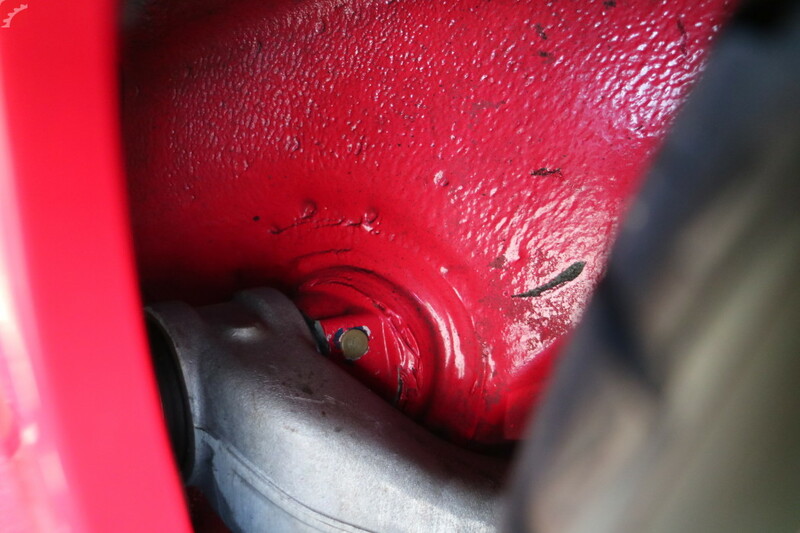 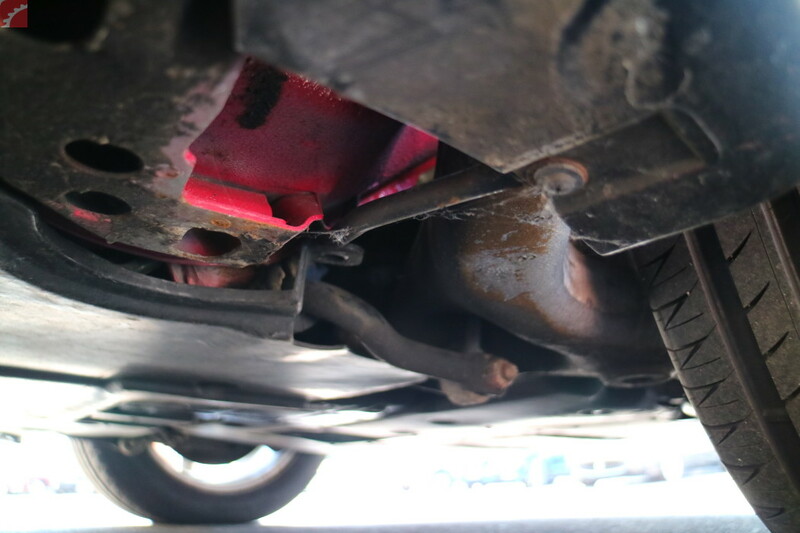 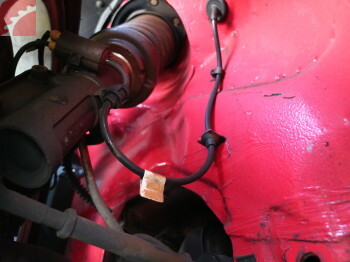 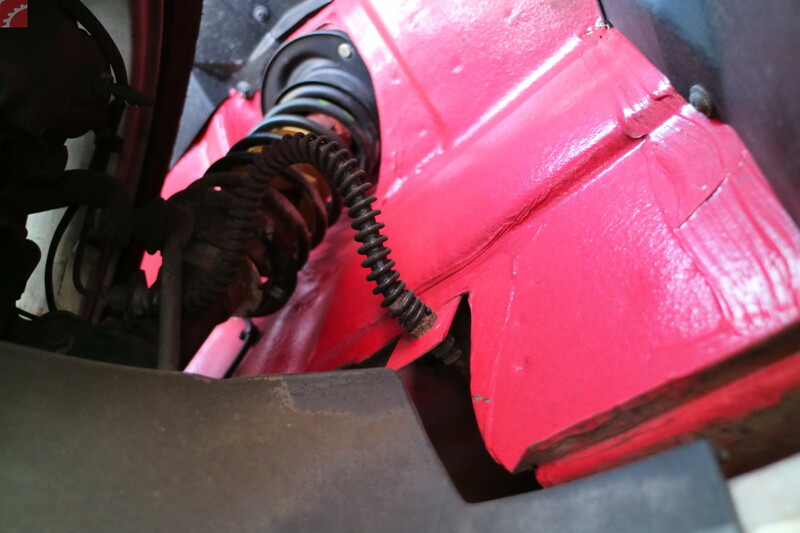 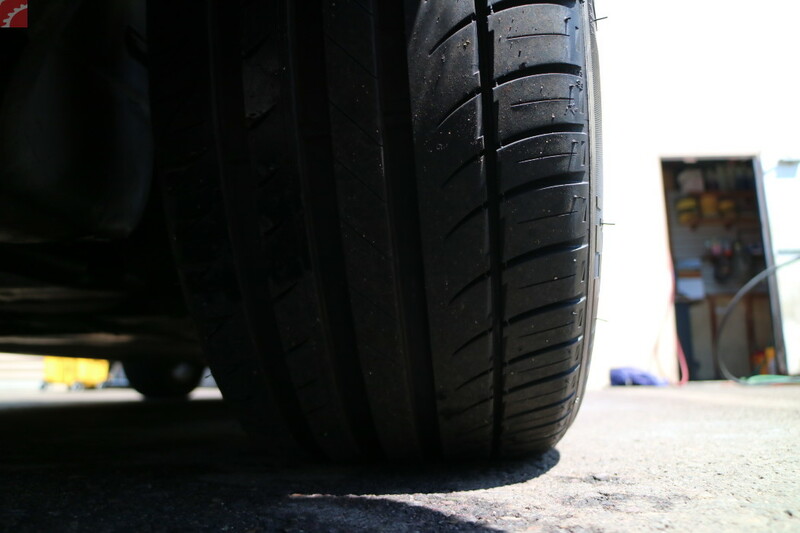 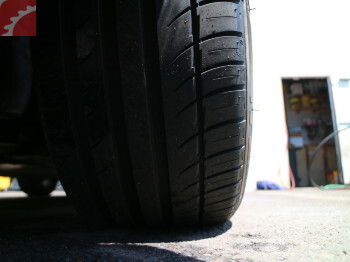 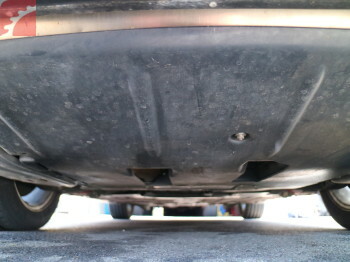 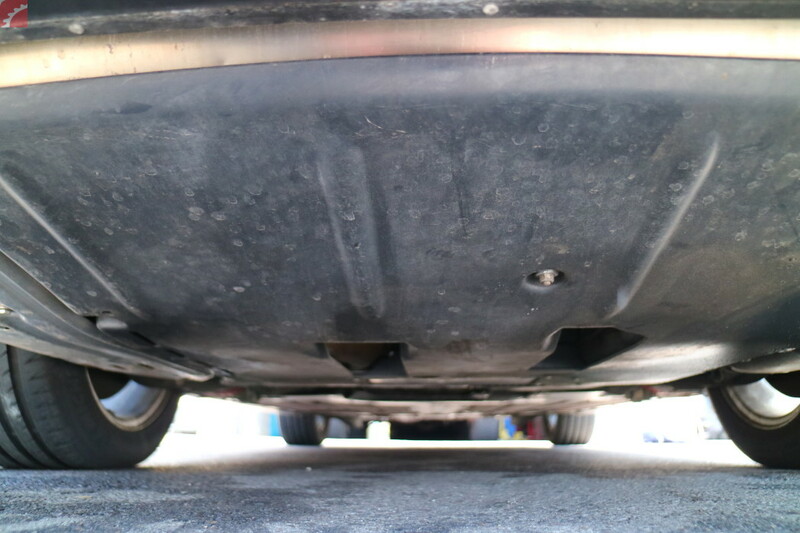 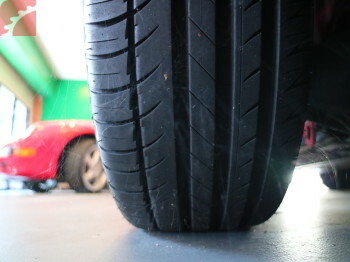 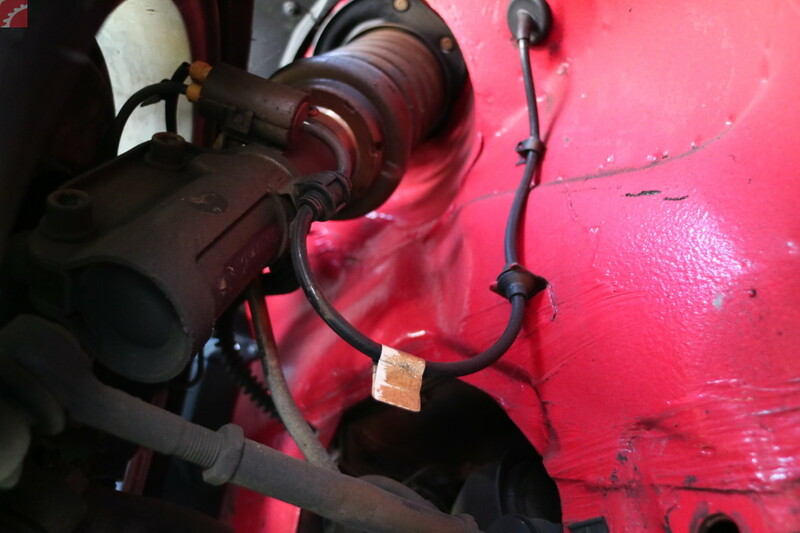 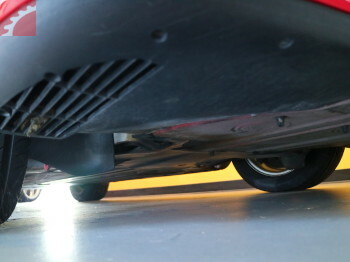 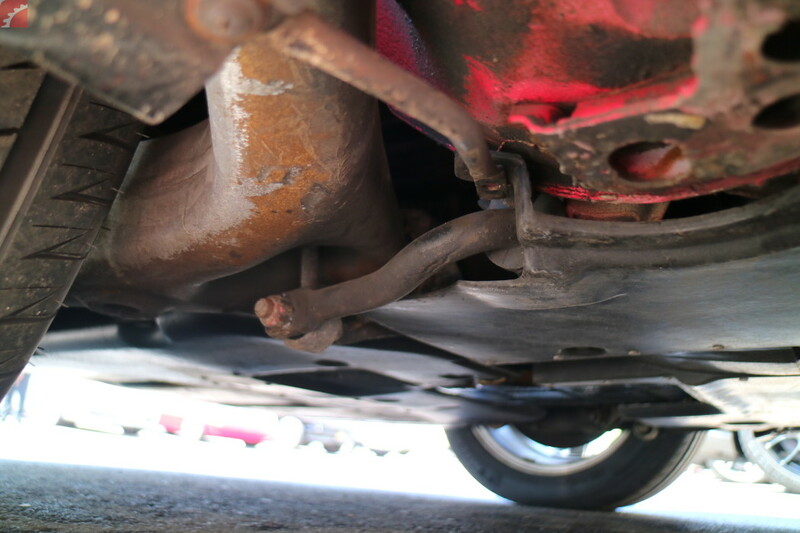 Suspension inspection did find front bump stops are coming apart, but no other issues noted. 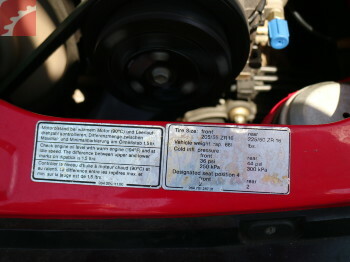 See images for further detail.